Happy Monday, I hope you had a great weekend. I came down with a cold, which I have at this point finally accepted. There is a lot of vitamin c and tea with honey happening around here. I wore this pre cold last week for a casual day at the office. 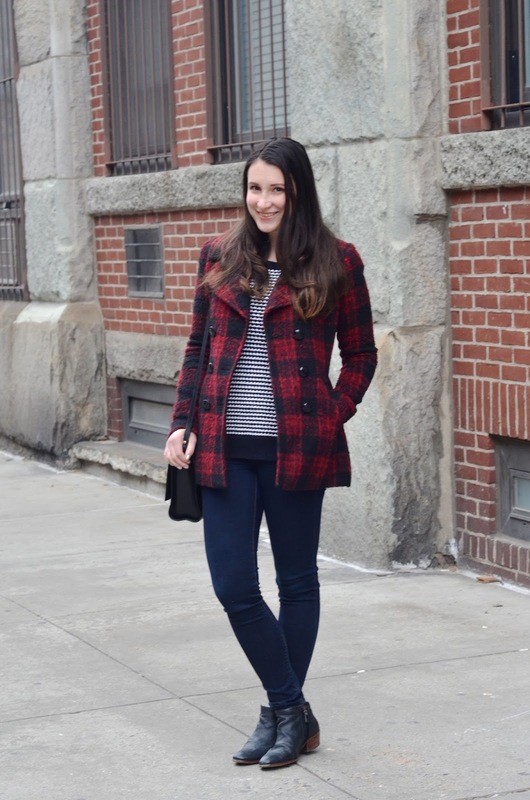 These days all I want to wear is red and plaid and a little something sparkly. The holiday season does that to me. This look pretty much captures all of that good stuff. JD gave me this coat for Christmas last year and I absolutely cannot get enough of it. 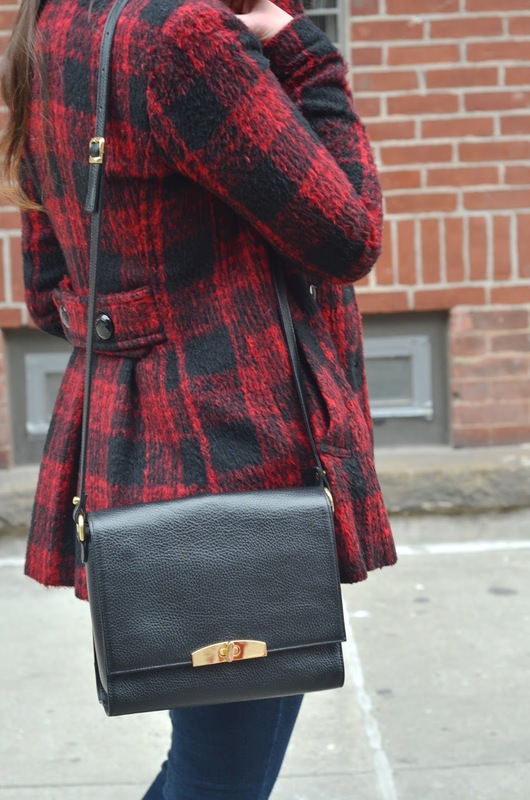 The pleating on the back is just so darn cute and red plaid is perfectly on trend. That one has a good eye, though he blames me and this blog for "forcing" him to notice things like that. Now only if I could breathe through my face. Cannot get over that coat!!! I want one- it's perfect! I love anything plaid. So hope you feel better soon, I'm down with a cold too- ugh, no fun! This coat is seriously perfection! Love it! Hope you feel better soon!! Super casual and super cute. Perfect stylish ensemble for running around town & looking a great. Oh nooo! I hope you feel better!! On a brighter note, I do love your cheerful plaid coat! The pleated detail on the back is the perfect touch! You rock plaid like none other!! Everything about this outfit looks cozy! Love this jacket! And I love the patter mixing with the sweater! What a great coat! Love it with your stripe sweater. aww...hope you get well soon! 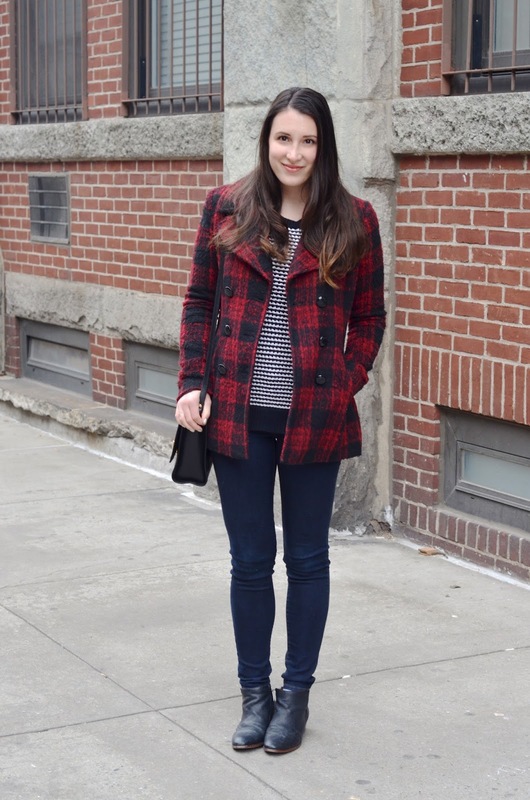 love the red plaid coat! so fun! I hope you feel better! That coat is so cute and I love and your bf has great taste! Love love that coat! 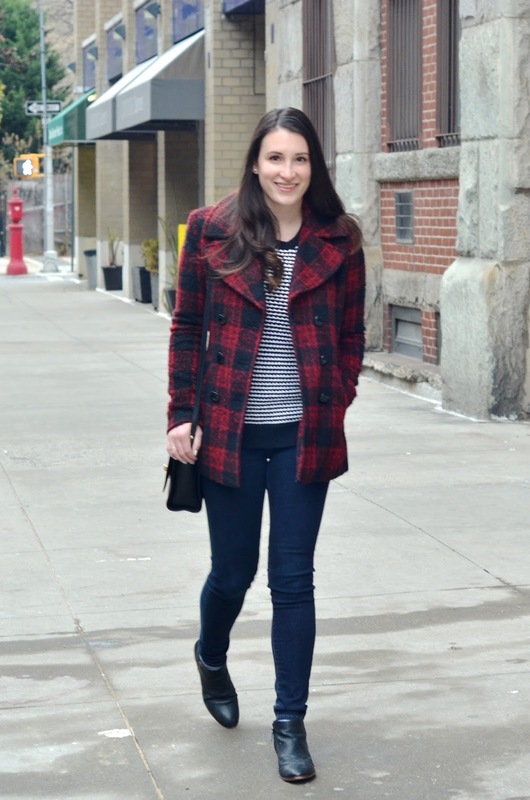 I am dying for a plaid coat. So adorable, and what a great gift! I loooove that coat!! Hope you feel better! !